Move over smartphones. 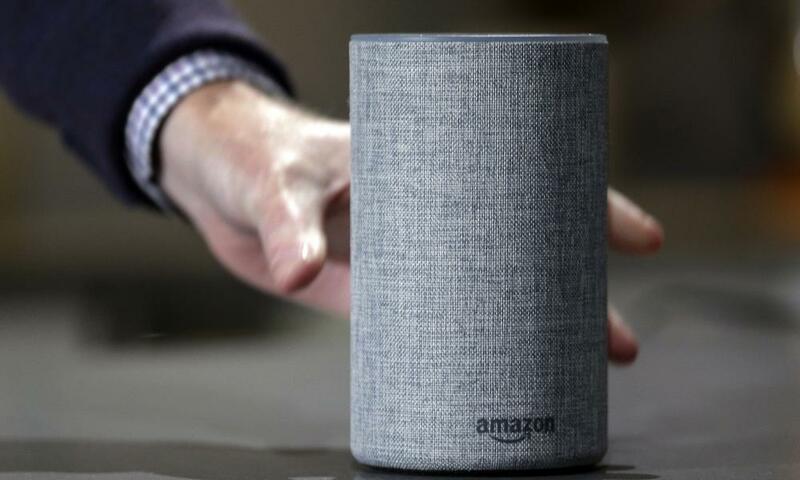 The battle now raging between the big technology companies for consumer cash is focused on the voice-controlled smart speaker. Having already conquered the pocket with the ubiquitous smartphone, big tech has been struggling to come up with the next must-have gadget that will open up a potentially lucrative new market – the home. A pilot light was lit when Amazon’s Echo launched in 2014 and became a sleeper hit. Now the voice controlled smart speaker is rapidly becoming the next big thing, capable of answering questions, setting timers, playing music, controlling other devices about the home, or even potentially selling products. مربوط: آمازون اکو, Google Home or Sonos One: which smart speaker should I buy? In the first nine months of 2017, 17.1m smart speakers shipped worldwide, according to Canalys’s data, but a further 16.1m were shipped in the last quarter of the year driven by Christmas present sales. 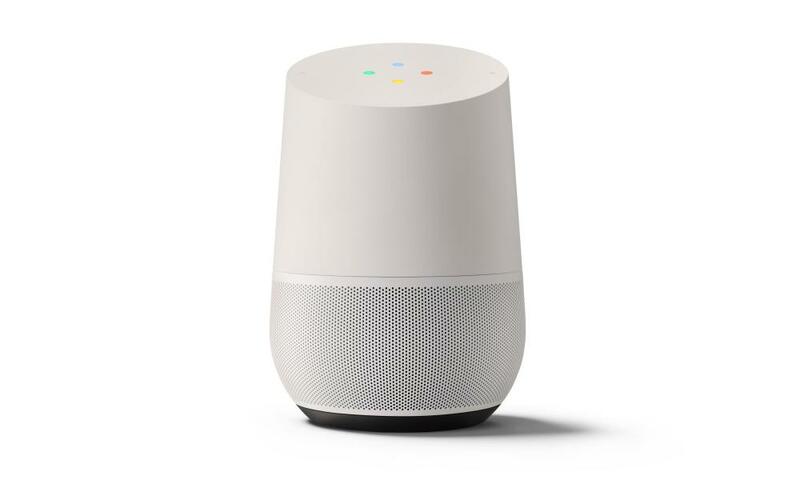 The fierce competition between market-leader Amazon and Google with its Home devices resulted in the price of smart speakers being slashed from £50 to as little as £30, which some put at cost or below for the manufacture of the devices, making them loss-leaders. “This has not only brought in new first-time buyers, but also allowed tech enthusiasts to deck out their homes with several smart speakers,” said Stanton. The trend towards smart speakers becoming mainstream is expected to continue. Canalys is forecasting 70% year-on-year growth with shipments reaching over 56m units this year. But smart speakers are also seeing good attachment rates, meaning that people continue using them after the honeymoon period is over, not stashing them in a drawer never to be seen again like other passing fads in the gadget market. While Amazon and Google duke it out to secure a voice-enabled beachhead within homes, notable laggards to the smart speaker revolution are Apple and Microsoft. سیب, which has had a voice assistant in the form of Siri on its phone and computer devices for longer than anyone, announced its HomePod speaker in June. By November the company was forced to admit that it wouldn’t go on sale until “early 2018” because it needed “a little more time” before it was ready to ship. 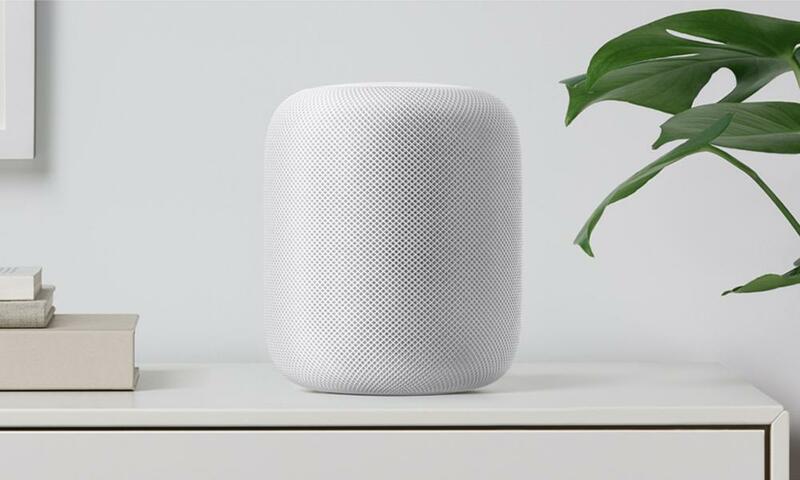 Apple is pitching the £350 HomePod as music first, smart speaker second, but experts have speculated that it is Siri that is holding the device back. Since launching Siri, Apple has only been able to make incremental improvements to its voice assistant, which most believe is due to its lack of usage data. Microsoft has partnered with Samsung to make a speaker containing its Cortana assistant, but has failed to make a notable impact. Where Google and Amazon have enormous troves of data to improve and refine their voice processing and interactions, Apple does not. The gap is evident even on the iPhone, where Google’s Assistant has near human-like natural language processing in the Google app, according to the company, while Apple’s Siri still struggles to understand people. Some analysts also question whether anyone will buy a speaker from Apple that’s as much as four times mid-range models from Amazon and Google. Where Apple will not come close to challenging Amazon and Google in terms of volume shipped in 2018, او اضافه کرد. While smart speakers are seen as the gateway to smart home gadgets and a potentially lucrative new market, profit from device sales are arguably not the primary driver for most of Amazon and Google’s smart speaker products. بجای, it’s about getting users into their ecosystem and making sure that it is their voice assistant that users interact with. Voice is seen as the next big computing paradigm, the next step on from the smartphone, which in turn overtook the desktop computer. But big leaps in voice interaction will be few and far between, requiring enormous amounts of data for machine learning systems to crunch over for constant incremental improvements. If you do not already have skin in the game you could be left for dust. 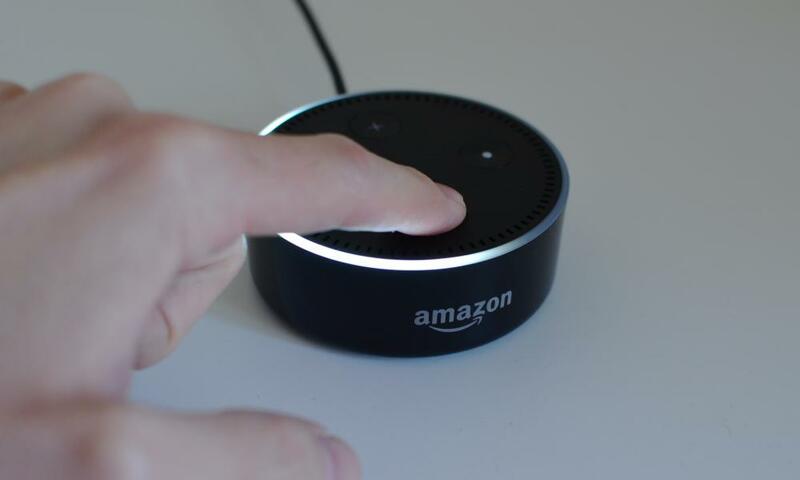 In the immediate future device manufacturers are banking on voice-enabled devices ushering in a new era of smart homes controlled by the gadgets they sell. “It seems every technology company under the sun wants to launch their own speaker for Alexa or Google Assistant. Many of these will fail, but the category as a whole will get stronger,” Stanton said. At some point Amazon and Google will look to generate more revenue from their voice assistant user base, in the same way they might from smartphones or tablets. Amazon already allows users to buy things through Alexa on Echo devices. But straight retail is likely to form a small part of voice enabled revenue. 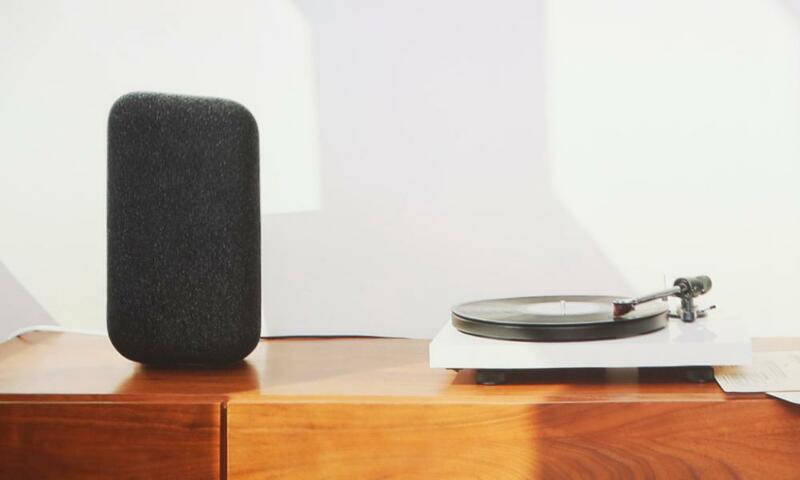 “We will also see a more explicit attempt from Amazon and Google to monetise smart speakers, perhaps by allowing adverts, or requiring a subscription for advanced functionalities,” said Stanton. I love my Alexas, both of them. I bought one in October, but soon realised I needed two because my flat is U-shaped and Alexa couldn’t always hear me when I walked in the door and wanted to listen to a Spotify station after a hard day at work. So now I have one within shouting distance of my bed and another near the front door. I used to reach for my iPhone first thing in the morning, but now I can order Alexa into action without having to lift my head from the pillow or even open my eyes. The first thing I say to her everyday is “turn the lights on and play BBC Radio 4”. I didn’t expect to get along with Alexa, in fact I still have the box in the kitchen as I had anticipated returning it. But Alexa fits into my life in ways that have surprised me, it’s hard to describe just how useful it is until you have one. Alexa helps me cook and, even sleep. While you’ve got your hands covered in pastry you can shout out questions like “how much is a cup of butter in grams (I’m American)” or ask Alexa to set cooking timers without having to stop and clean your hands. I sometimes have difficulty sleeping, and Alexa can provide soothing sounds at a simple command. Some night I ask for the sound of a rainstorm or wind or city noises – you can even request the sound of cats, dolphins or flutes if you feel like it. I’ve become a bit of an Alexa enthusiast, and can be heard singing her praises to family and friends. I bought one for my 59-year-old mom out of curiosity to see what she would do. I never expected she’d like it, but she’s almost a bigger fan of Alexa than I am. I’ve noticed she’s much more polite with Alexa than I am, she will say please and thank you to the speaker. I never do. I can see why my mum is friendly to Alexa, as it is much more human than Siri (Apple’s digital assistant) which is quite robotic. You can engage with Alexa, and she even tells jokes. This morning I asked her to tell me one: “What do you call a rooster being interrogated? Grilled chicken.” I’ve heard worse. Good audio quality, an excellent ability to hear you over noise, and a solid feature set, with lots of third-party applications. The smarts of Alexa condensed into a smaller puck-sized device but with a small speaker. 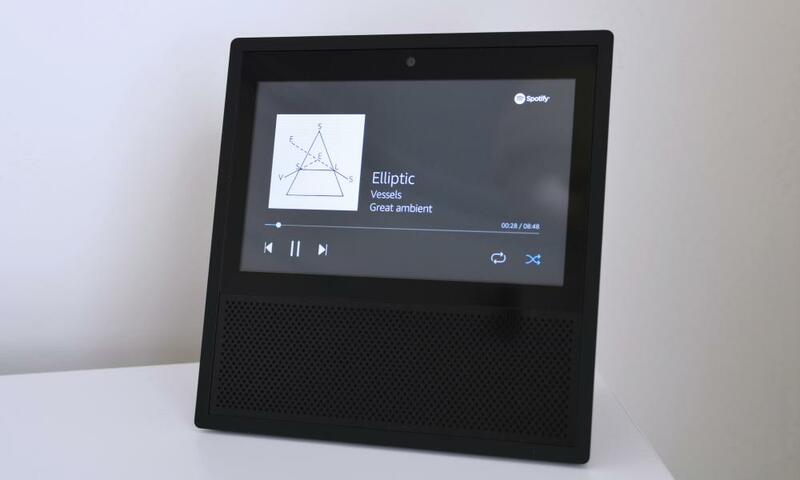 An Echo with a screen, for showing videos, feeds from cameras and additional information for voice queries. Google’s voice recognition is better than Amazon’s but the Home doesn’t sound quite as good and is £39 more expensive than the Echo. The best if you’re looking for a general knowledge machine, but not as good as a music speaker. 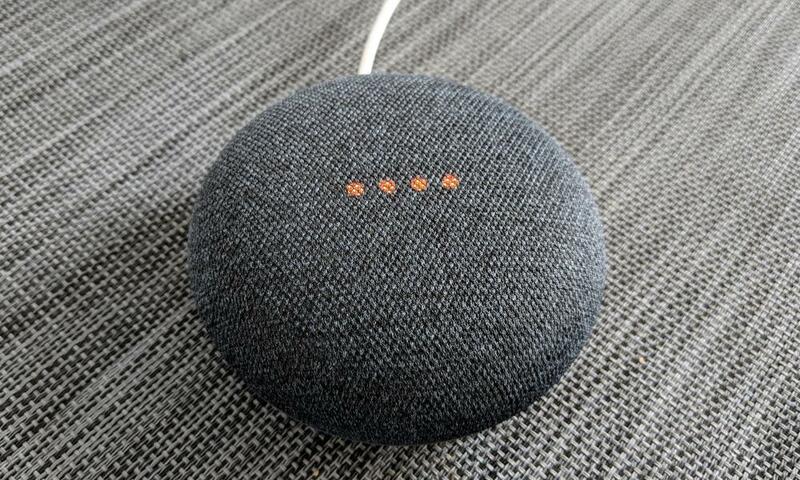 Not available in the UK yet, but Google’s big premium smart speaker is both intelligent and sounds great. Coming in “early 2018” Apple is pitching the HomePod as music first, smart second, but doubts around Siri remain.